Now you can enjoy the flavor of jasmine green tea without the caffeine. 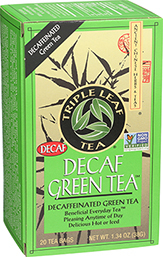 The green tea in this delicious floral tea is decaffeinated using a carbon dioxide effervescent process to produce a decaffeinated green tea with a smooth and mild taste. Carbon dioxide occurs naturally in air. It gives carbonated mineral waters their sparkle. 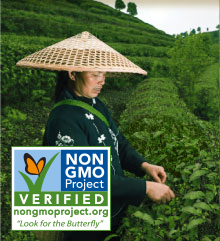 Fragrant jasmine flowers are added for a delightful, aromatic flavor. 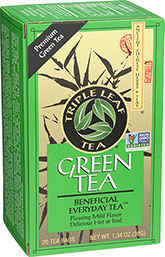 Green tea enriched with the scent of jasmine flowers has long been one of the favorite beverages of China. 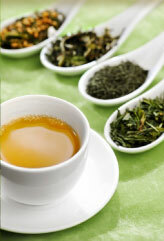 Green tea has been consumed in China for thousands of years. Jasmine native to the Persian Gulf, was brought to China more than a thousand years ago. 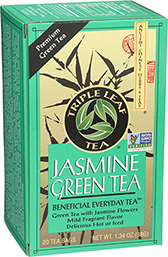 Traditionally, jasmine was enjoyed as a comforting and soothing, delicate beverage. 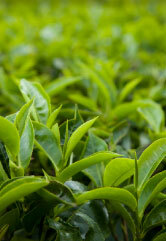 Jasmine green tea is increasingly popular as a refreshing and enchanting tea. 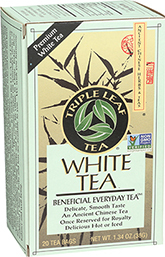 This delicious tea is pleasing at any time of day. Enjoy it hot or iced. HOT TEA: Pour 1 cup of boiling water over a tea bag. Let steep 3-5 minutes. Remove the tea bag, squeeze gently into cup. ICED TEA: Pour 1 cup of boiling water over tea bags. Let steep 3-5 minutes. Remove the tea bags, squeeze gently, then add ice. To extract more of tea’s benefits, steep 5 minutes.